Online luxury marketplace Farfetch floated on the New York Stock Exchange towards the end of 2018, in a move that arguably banished any lingering feeling that luxury fashion businesses don’t or shouldn’t do digital. In this exclusive for Luxury Briefing, director at Dedagroup Stealth Luca Tonello, explains why the luxury fashion industry should be considering the power of digital moving into 2019. For years, there has been an idea permeating the luxury fashion retail headquarters and the halls of premium department stores that it is a sector that doesn’t need to go digital. For some, there was a feeling that going digital would impact brand equity or remove the mystery and exclusiveness that so many brands in the industry like to convey. 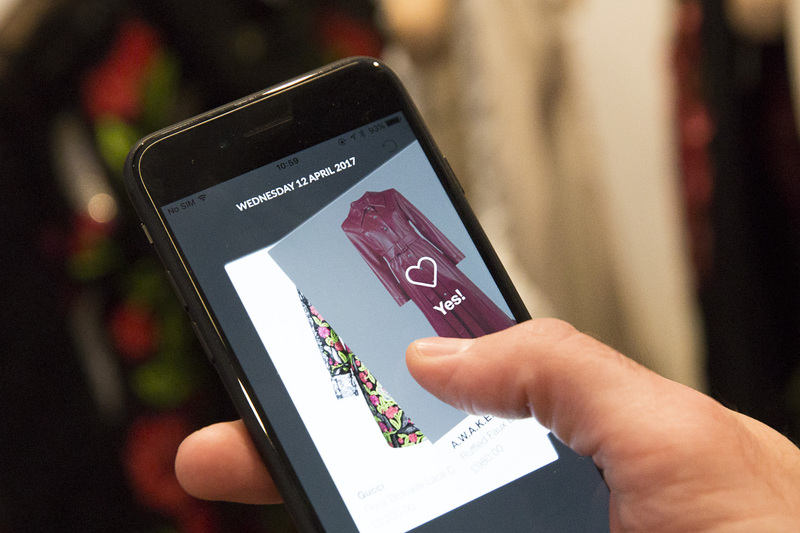 Total sales of £247.7 million in 2017 at Farfetch – a jump from the £140.8 million recorded one year before – and a raft of noteworthy, previously unforeseen partnerships with big-name brands put pay to the idea that people don’t want to buy luxury fashion online, as have the growth of digital natives like Yoox Net-a-Porter. And as we move further into a new year – a natural time for making predictions – it is perhaps not too farfetched to say Farfetch shows luxury fashion brands the way forward – be it by working with them or emulating some of the marketplace’s digital prowess. In 2018, ahead of its September float, Farfetch announced a range of luxury brands and retailers – stretching from Harvey Nichols and Burberry in the UK to Chanel in France – were to work with Farfetch. Either selling goods on the marketplace, or leveraging its technology to reach larger global audiences. The success of the model has certainly made the luxury fashion industry sit up and seriously consider the power of digital retailing and e-commerce if they were not already doing so. But if Farfetch’s rapid progress and impressive growth over the last few years isn’t enough of an influence on getting luxury brands to think digitally, wider microeconomic factors such as changing consumer spending habits perhaps can have an impact on aligning their thought process in this way. Deloitte’s ‘Global Powers of Luxury Goods 2018: shaping the future of the luxury industry’ report underlines some of these changes, saying that collectively millennials and Generation Z will represent more than 40 per cent of the overall luxury goods market by 2025 – up by 10 per cent on 2016. More so than Baby Boomers, millennial luxury consumers expect to interact with brands digitally, the report says. Deloitte’s research suggests that luxury fashion brands have traditionally based their identity on exclusivity, prestige and impeccable service – the idea that ‘you can’t get this type of service anywhere else’. While social media may have once been deemed too “mass market”, today it has become an increasingly important marketing tool for the luxury world. Instagram – and Instagram Stories, in particular – is emerging as the leading social media platform for fashion designers. Deloitte highlights Gucci as a great example of this, saying it more than doubled its Instagram followers between 2016 and March 2018, partly thanks to well-crafted Insta-campaigns. Other research out last year, the ‘State of Luxury 2018: The Insider View’ from Luxury Daily and Unity Marketing which surveyed 599 decision-making luxury industry insiders, suggests social media advertising and promotion are where the largest number of luxury goods and services brands are investing their ad and marketing budgets. Chanel, meanwhile, was named by Insightpool as the most influential luxury brand on social media based on overall engagement, looking down on other well-regarded performers in the social space such as Louis Vuitton and Christian Siriano. Chanel has 44 million+ followers on Twitter and Instagram alone, representing a huge following, while not following back anyone or anything else. It has managed to maintain that exclusive feeling so many luxury brands have previously said they were scared of losing by opening itself up to the online world. Chanel has created its own aspirational world and is effectively inviting consumers into it – rather than putting a focus on everyday conversations like the broader business community on social media. The waves Chanel is making online thanks to its social strategy stand out because it was only in 2018 that it actually launched e-commerce in the UK: the prime market in Europe for online retailing. Chanel is part of that luxury community which was slow to commit to e-commerce, but that crowd of digital non-believers is becoming fewer and far between. In a Bloomberg interview, recently, Prada co-CEO Patrizio Bertelli acknowledged the end-of-2017 launch of its e-commerce operation was perhaps a bit later than it should have been. The company now has plans to push on in the digital space. And looking at the trading updates from the big luxury players over the last few months, it is clear digital – whether that is e-commerce, social media, a combination of the two, or how online combines with stores – is high up the agenda for the sector. Watch this space for more developments in this space as 2019 draws on.